James Degale is set to take on Chris Eubank Jr for all british affair for the super-middleweight championship fight on Saturday, 23rd February 2019 at the O2 Arena in London. Its a massive fight for both boxers with Eubank Jr hoping to kick start his career after that crushing loss in the hands of George Groves and now he takes on another quality British middleweight in James Degale who himself is looking put on a show in front of home crowd in London. The fight will be the headliner of ITV Box Office card where coverage will begin at around 07:00 pm uk time. James Degale vs Chris Eubank Jr TV Coverage Details: ITV will have the live coverage of the fight in the UK and it will be broadcasted via PPV on their new Box Office channel priced at around £16.95/€19.95. In the US HBO is likely to broadcast the fight live on their regular channel (non-PPV). There are several undercard fights scheduled on the night including Bermane Stiverne vs. Joe Joyce and a few others. ITV coverage begins with the regular channels at around 07:00 p.m uk time and it will go encypted at 08:00 p.m uk time to only Box Office channel where only viewers who bought PPV can access the live action. The main-even is schedueld to start at around 11:00 p.m UK time. There are several undercard fights scheduled on the night which will start at 07:00 pm uk time while the Main-Event starts after 11:00 p.m uk time. James Degale talked about retirement if he loses this fight but at the same time he is bullish going into the fight promising to rather end Chris Eubank Jr’s career at the top level and rightly so. If Eubank Jr were to lose this fight its hard to see where he will go from here. 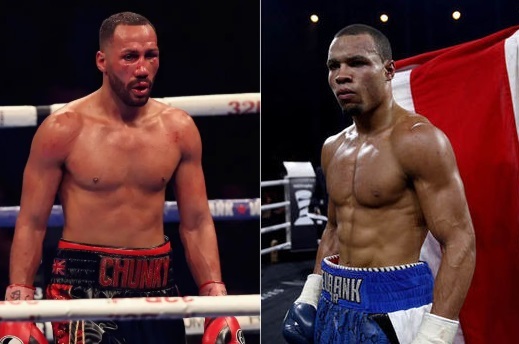 He has been found out several times already against decent opponents and another defeat against very well a journey man in Degale will surely put doubts in Eubank Jr’s head.